Sunday Quote!- Tourism, Borders, and the “Other” | J.W. Wartick -"Always Have a Reason"
Cavanaugh’s point is in context of a broader discussion on migrant, tourist, pilgrim, and monk, and he acknowledges complexity to each of these categories. His point is that, in a sense, the very act of tourism both attempts to break down barriers (by going to the “other”) and also necessitates barriers (by upholding and even romanticizing or denigrating the concept of the “other”). It’s an interesting thought which makes one wonder about how we should live our lives in an increasingly “global” world. How might we live our lives in the world in such a way as to avoid making the “other” into an object for our observation? How can we become “pilgrims” in a world which increasingly demands tourism? How can we sanctify a world which seeks to build barriers? William Cavanaugh, Migrations of the Holy (Grand Rapids, MI: Wm. 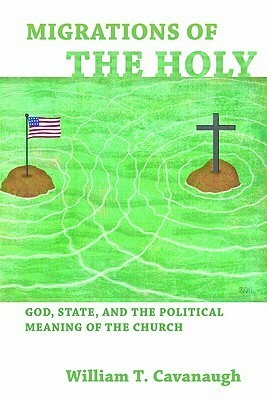 B. Eerdmans, 2011). « Really Recommended Posts 10/10/14- Game of Thrones, Abortion, Joshua, and more! I am intrigued by the value assumptions of any conversation revolving around the other. I want to ask, what is inherently wrong in viewing the other as object? Yes, I want the other to speak for herself, but at the same time I feel we become so constrained as tourists if we cannot bring any preconceptions to our destination. Perhaps you are aware of the concept of performance. What I desire is to be free of the constraints of performance. I do not want to impose the burden of self consciousness on the other. This is why I like to interact with (especially Asian) international students in my college town. Usually, they are not so encumbered, and are unashamed to call it as they see it. They are untainted by the original guilt that seems to haunt the Western-educated person. Well I think there is something wrong with viewing any person as an object. I don’t think it is wrong to bring preconceptions to a destination; that would be impossible to avoid. What is wrong is seeing the “other” simply as an “other” to be observed and make a show of rather than extend grace and truth. Thanks for your interaction. I think I am trying to use “object” in an innocent sense, as in viewing a person as an object of knowledge. I know you as a grad of Biola’s apologetics program. But I know you are much more than that. My inherent tendency is to resist presupposing that there are persons out there who actually do view other persons in reductionistic terms. This is a sensitive issue, since surely, there are cases where people behave as if they are objectifying other persons. Again, I just long for a world that does not require such a fastidious adherence to norms of linguistic correctness. It is draining for me personally as a mixed race person of color who is all too aware of the times one might essentialize or objectify the other. It is more than most people seem to say. I’m not sure I’m completely following what you’re saying, particularly in your last paragraph. I understand the words, but I don’t follow the point you’re trying to make. Could you explain what you’re saying differently? My apologies for not understanding.